The developers of Farabel [Official Site, Steam, itch] sent word that their game is now officially coming to Linux. They asked for testers and in a single day got the game working properly on Linux and it's now official. This gif animation is brill, taken from their Steam news post. Fantastic to see a positive experience like this for a developer! 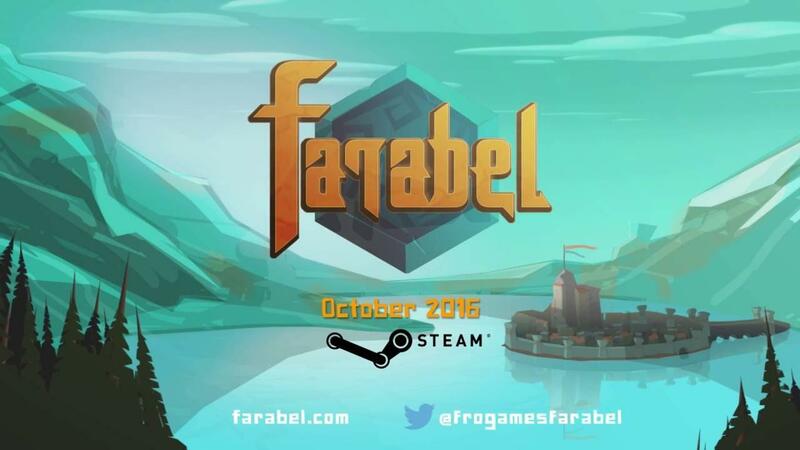 Farabel is a turn based strategy game that starts out at the end. You start out at the end of the conclusion of the story. But that’s not all. In Farabel, the whole gaming experience is turned around. You start out the adventure with a hero at maximum power, but your hero will lose power with each battle. You won’t be choosing which skill you want to reinforce. Instead, you’ll have to decide which one to diminish. You’re not going to develop your character. You’re going to develop your own gaming abilities, including your cleverness, strategic prowess, inventive capabilities, and your knowledge of the game. To win at Farabel, being powerful means nothing. You have to be clever! And you have to get more and more clever as you go. I'm especially pleased with the GIF on the Steam news item. Oh, wow! For years now I've had this idea for a dungeon crawler where you start right at the end after defeating the main boss, and the game is all just fighting your way back up out of the dungeon, losing levels and abilities to fatigue as you go. This sounds quite similar, and saves me the trouble of having to figure out a way to make something like that Actually Fun! Quite excellent, looking forward to this. One...freaking...day!! Amazing, if only all linux ports of similar non-aaa titles could go as smoothly. I´m still waiting for the ports of: "Stasis", "The Age of Decadence", "Kathy Rain" and "Technobabylon", just to name a few titles that sounded like they should have been ready for linux months ago. Not to mention a whole bunch of "we´ll maybe/most likely do a linux port after windows" titles: "Grim Dawn", "Clandestine", "Rebel Galaxy", "Shadows: Heretic Kingdoms", too name another few. This title looks reasonably interesing, I´ll read a bit more and then maybe give it a shot. Well that explains it. I can't imagine a reason for a dev not to hit that "export to Linux" button unless their work is so badly supported they can't even afford spending the time uploading the build to Steam or where ever. It's great this dev also wanted to do some play testing first! Awesome! One of the things to take away from this is that Unity has come a long way. Still gonna wait for release and possibly a review though. Ports don't take long when you code properly.